Morocco has developed a strategy to prevent the abuse of religion to justify and incite terrorist violence and is now sharing it with the world. These measures were introduced in response to the 2003 terrorist bombings in Casablanca. An institute has been established in the Kingdom where religious teachers undergo mandatory training before they start preaching in public. 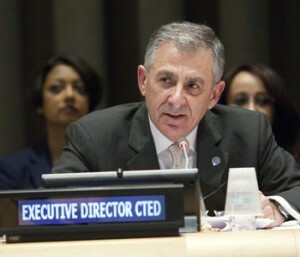 Jean-Paul Laborde, Executive Director of the Counter-Terrorism Executive Directorate (CTED) and Assistant Secretary-General hailed the dissemination of these teachings also called the “Moroccan Experience”. Cristina Silveiro began by asking Mr Laborde about the briefing taking place at the UN regarding Morocco’s counter-terrorism approach.